Diane von Furstenberg swim top in dotted microfiber. Banded under bust for support. Diane von Furstenberg classic swim bottom in dotted microfiber with solid trim. 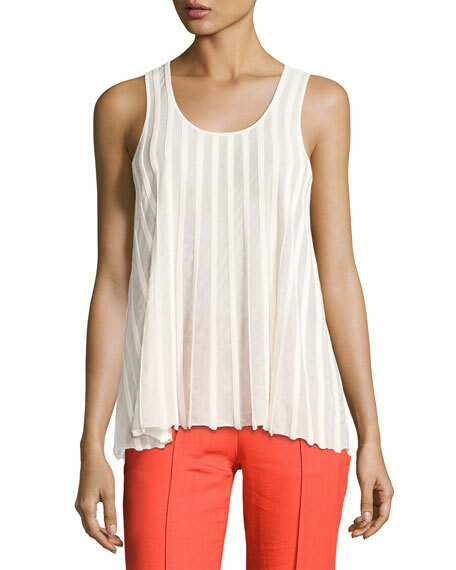 Diane von Furstenberg semisheer ribbed top. Scoop neckline and back. Sleeveless. Slipover style. Relaxed fit. Arched hem. Polyester/cotton. Imported.